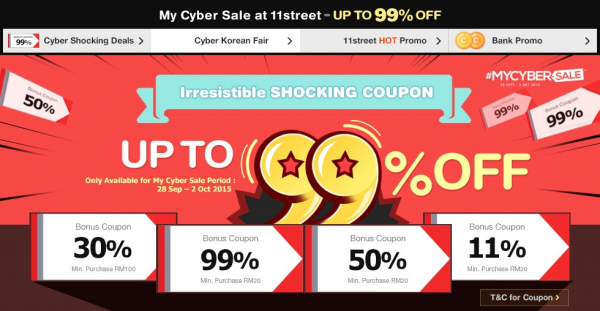 11street (www.11street.my), one of the largest online marketplaces in Malaysia, is leveraging its participation in the nation’s biggest online sale, #MYCYBERSALE 2015 (www.mycybersale.my), to attract a wider net of Malaysian consumers to shop online. Organized by the Multimedia Development Corporation (MDeC) the online sale starts today and lasts until 2 October 2015. 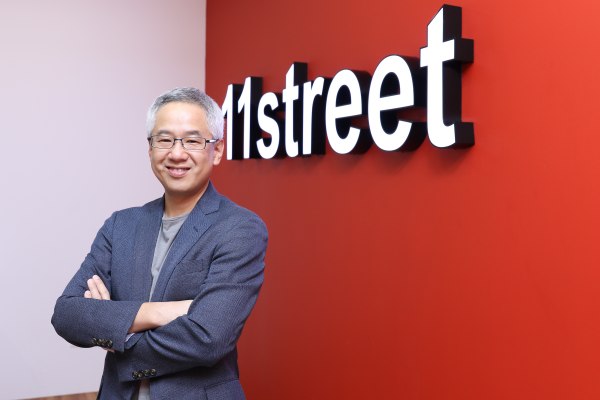 As a premium e-tailer, 11street will be offering exclusive discounts and deals during the one-week period. As part of their strategy to enthuse and convert offline users to shop online, 11street aims to give away RM6 million worth of coupons with discounts of up to 99% along with other bank offers and deals. Consumers will be spoilt for choice as there are close to 2 million products available, making finding what they love at 11street easier. Sellers will of course benefit from the #MYCYBERSALE as they would be able to expand their reach to new customers and increase overall sales. “We are delighted to have 11street onboard #MYCYBERSALE2015. They have been growing rapidly in Malaysia and we see them as a credible partner in supporting the government’s efforts to enhance the positive development of the e-commerce landscape in the country”, says Ms. Wee Huay Neo, Director of e-Commerce, MDeC. “Through the attractive deals that are offered by 11street, we are confident that it can lead to the growth of the e-commerce here, which will eventually set Malaysia as a net exporter”, she further adds. Some of the promotions that will be available for #MYCYBERSALE 2015 include the Cyber Shocking Deals, which is similar to 11street’s signature Shocking Deals, and exclusive brand-specific deals. Shoppers can expect markdowns of up to 90% from big names such as Samsung, Mothercare, Laneige, L'Occitane, Thermos, Nike, Ralph Lauren and Longchamp, just to name a few. There are also special bundle offers for Vincci and LEGO, along with Happy Hour deals for meal vouchers and mobile top-ups that will take place at 11am, 3pm and 6pm. To further enrich Malaysian’s affinity with Korean culture and lifestyle, a main highlight for #MYCYBERSALE 2015 would be the Cyber Korean Fair that focuses on Korean beauty and skincare products, snack foods and also K-fashion items. 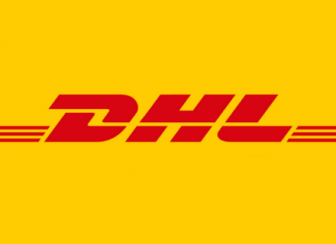 That’s not all; selected brands come with free shipping deals along with an 11-day delivery guarantee of which RM11 will be refunded in the case of delays. “Also, what makes us a leading e-commerce player is our wide variety of quality products at competitive prices which enriches a consumer’s shopping experience. We are very optimistic that Malaysians will now be even more motivated to start reaping the benefits of online shopping,” ends Kim.